What is the Beautiful Place for You? for me i like Philippines a lot although economy here is not so good and sometimes hard to find work. What about you? the beautiful place for me is Camiguin Island.. so far its the most peaceful place i've visited so far. i have been to camiguen also. It is a very nic eplace. 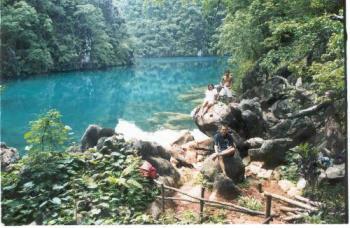 The white island is great and the hot spring and cold spring and also there falls are great. My cousin is living in japan. Wish can see ur place as well. i like the philippines too. but i also like thailand. i think the beaches in thailand are beautiful. i spend a large chunk of my childhood in the beaches there and i really miss it alot. thanks for comment although i havent been in thailand but i wish soon i can visit thailand. My country has such rich cultural heritage which is 3500 years old, it takes our life time to see each every important archeological monuments, temples, monuments etc. Each year I visit some of these places. I agree with the Philippines, have been there twice and looking foreward to going back. I also think the Rocky Mountains here in the U.S. especially in Colorado is beautiful and Alaska as well. i'm from the philippines too. it's a beautiful country. too bad you can't enjoy life too much coz it's not that safe to get around, especially in metro manila. i like the provinces better. yes i love philippines too, even though we have a poor economy, we are rich in natural resources..